Born in 1932 in Medellin, Colombia, Fernando Botero is an artistic living legend of our times. A prolific artist and creator of the signature style ‘Boterismo’, the artist’s rounded musings have made him a global figure in the contemporary art world, and the artistic ambassador of Colombian pursuit. Rounded from convention, distinctive in spite of the commonplace, and tied to Colombian history and heritage - his curvaceous forms have reached monumental heights, and are collected by major museums, corporations and private collectors all over the world, including the United States, Korea, and Mexico City, to name a few. 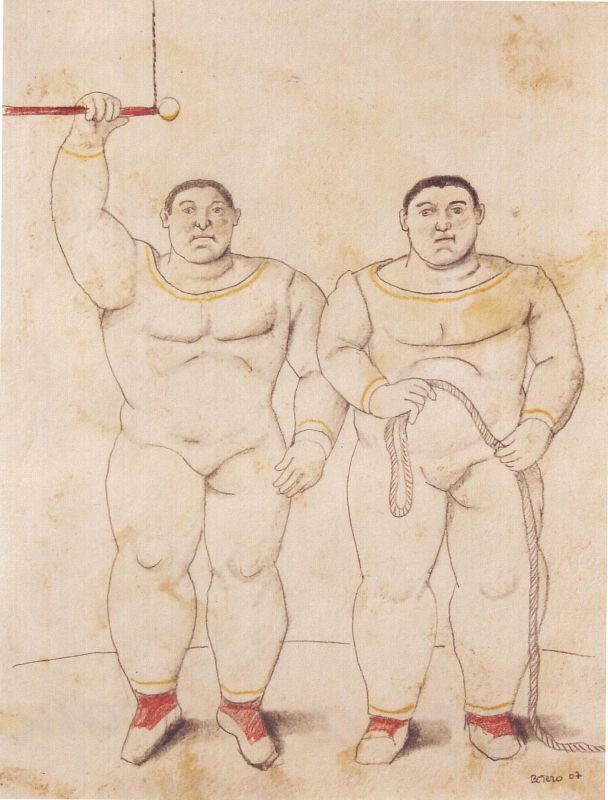 Debuting in the artistic scene in 1948 when he was just 16 years old, Botero studied painting in Madrid and was influenced by the artworks of Francisco de Goya and Diego Velázquez. He had his first exhibition in 1948 and first solo exhibition two years later. Self-titled "the most Colombian of Colombian artists" early on, he came to national prominence when he won the first prize at the Salón de Artistas Colombianos in 1958. 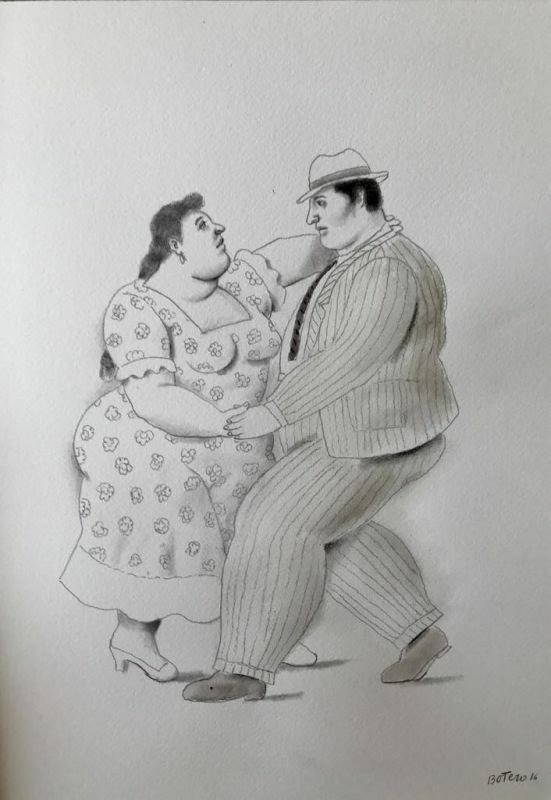 Throughout the 1950s, Botero experimented with proportion and size, and he began developing his trademark style—round, bloated humans and animals—after he moved to New York City in 1960. The inflated proportions of his figures, including those in Presidential Family (1967), suggest an element of political satire, and are depicted using flat, bright color and prominently outlined forms—a testament to Latin-American folk art. While the artist's works include still-lifes and landscapes, his most popular works are his emblematic situational portraitures. 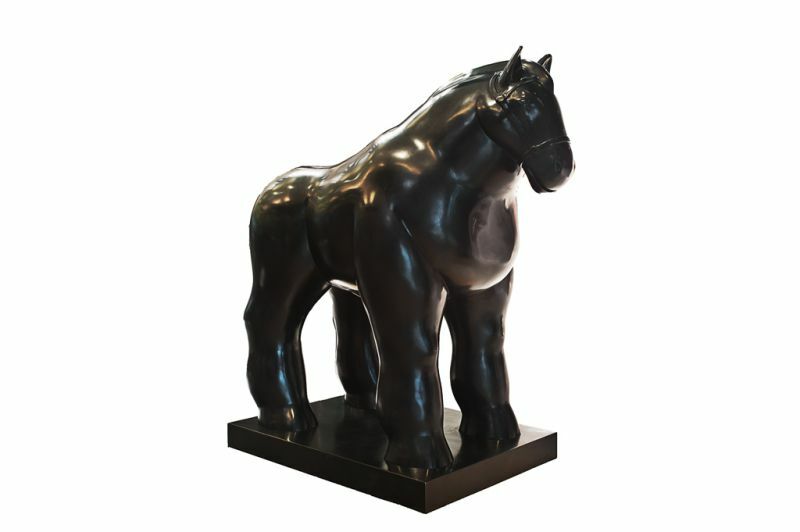 After reaching an international audience with his art, Botero moved to Paris in 1973, where he began creating sculptures. These works extended the foundational themes of his painting, as he again focused on his bloated subjects. As his sculpture developed, by the 1990s, outdoor exhibitions of his huge bronze figures were staged around the world to great success. 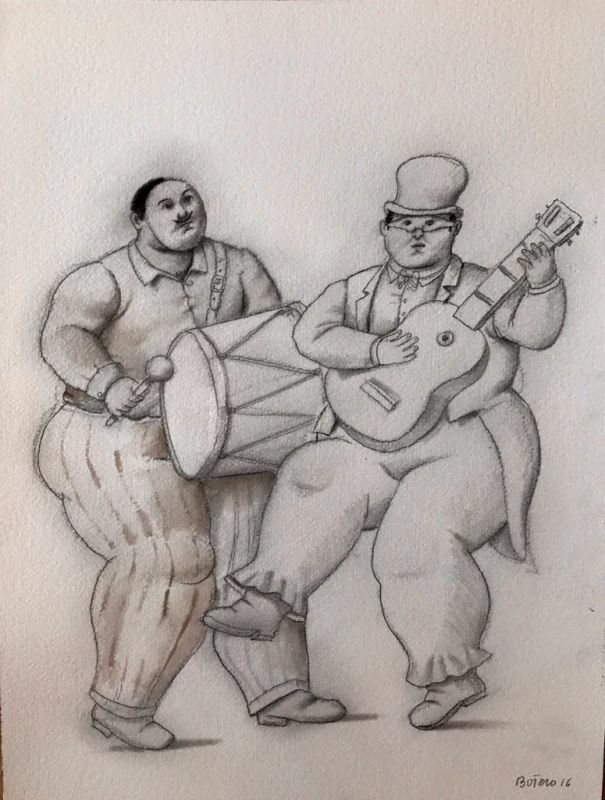 In 2004 Botero exhibited a series of 27 drawings and 23 paintings dealing with the violence in Colombia from the drug cartels. He donated the works to the National Museum of Colombia, where they were first exhibited. In 2005, Botero gained considerable attention for his Abu Ghraib series, which was exhibited first in Europe. He based the works on reports of United States forces' abuses of prisoners at Abu Ghraib prison during the Iraq War. Beginning with an idea he had on a plane journey, Botero produced more than 85 paintings and 100 drawings in exploring this concept and "painting out the poison". The series was exhibited at two United States locations in 2007, including Washington, DC. 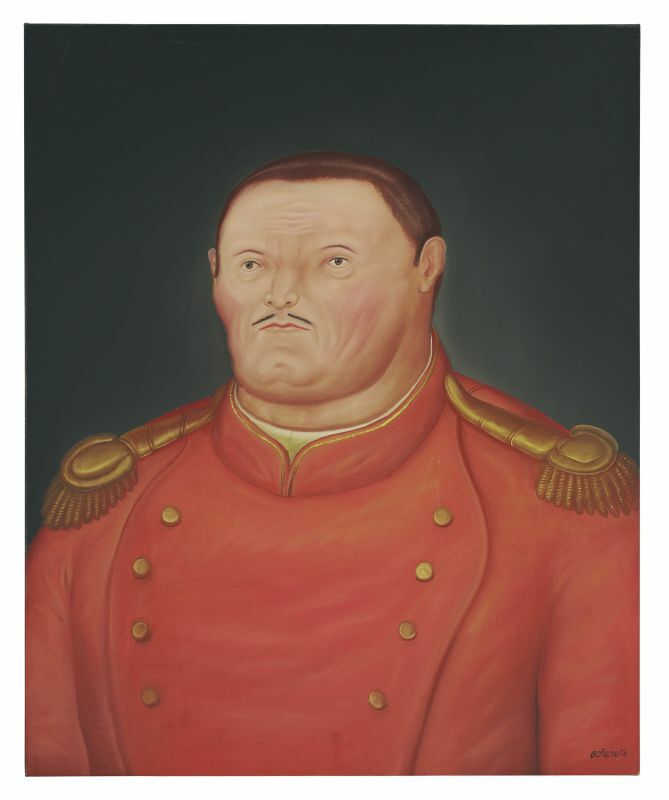 Botero said he would not sell any of the works, but would donate them to museums. 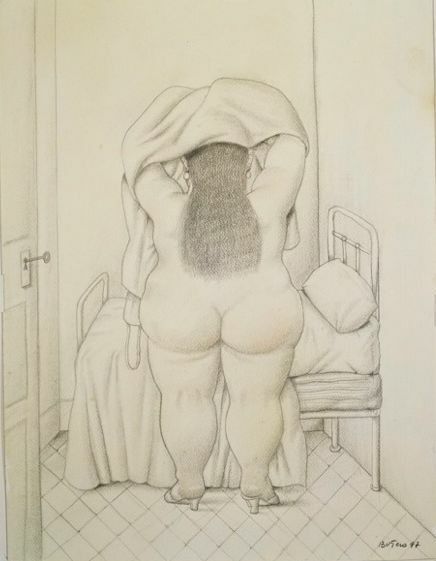 In 2006, after having focused exclusively on the Abu Ghraib series for over 14 months, Botero returned to the themes of his early life such as the family and maternity. 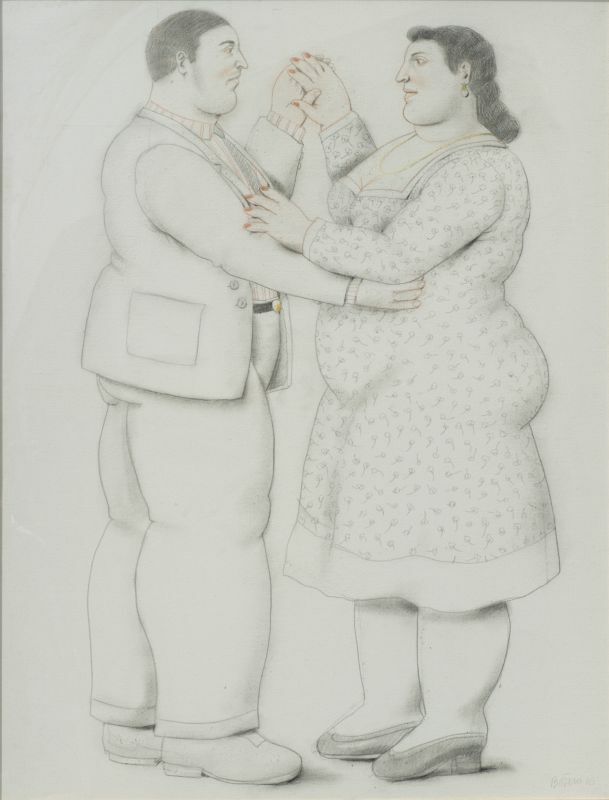 In his Une Famille, Botero represented the Colombian family, a subject often painted in the seventies and eighties. 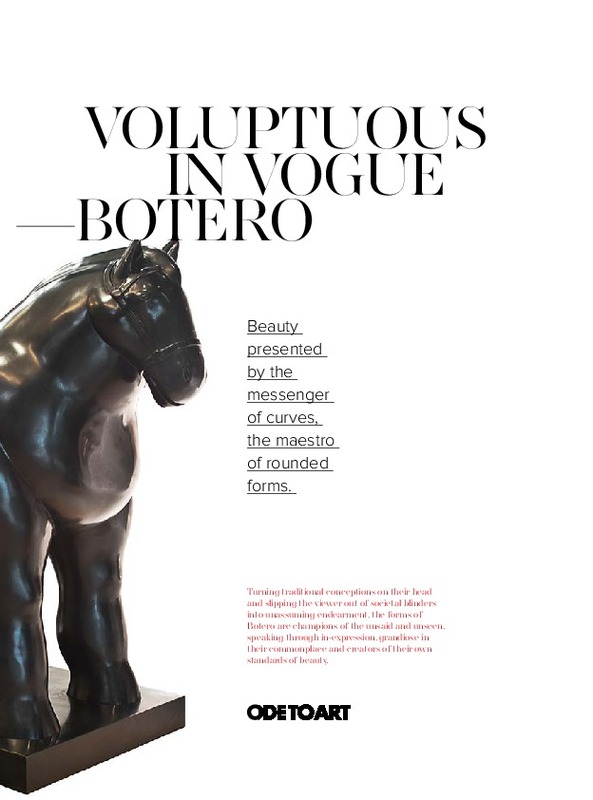 In his Maternity, Botero repeated a composition he already painted in 2003, being able to evoke a sensuous velvety texture that lends it a special appeal and testifies to personal involvement of the artist. 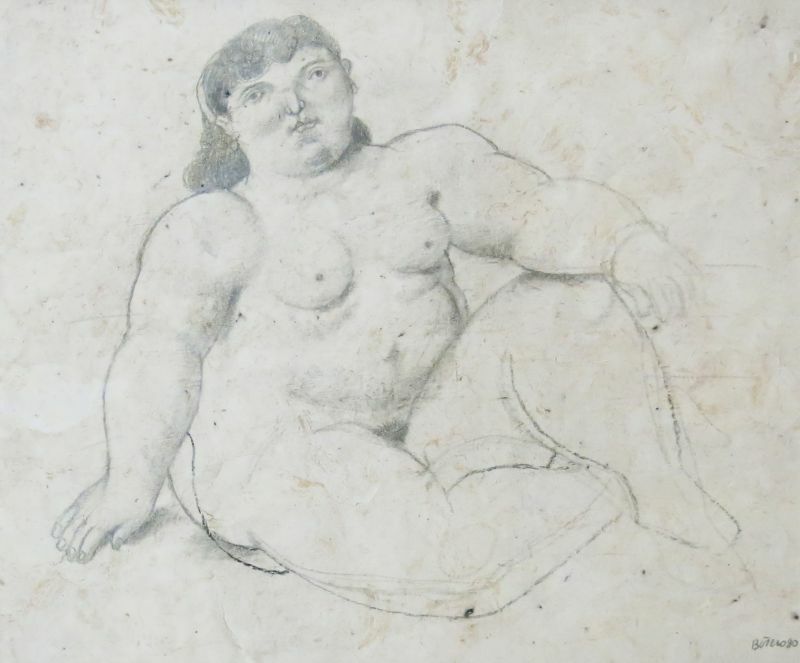 The child in the 2006 drawing has a wound in his right chest as if the artist wanted to identify him with Jesus Christ, thus giving it a religious meaning that was absent in the 2003 artwork. In 2008, he exhibited the works of his The Circus collection, featuring 20 works in oil and watercolor. In a 2010 interview, Botero said that he was ready for other subjects: "After all this, I always return to the simplest things: still lifes." His works feature a figurative style, known as "Boterismo", giving them an unmistakable identity. Botero depicts women, men, daily life, historical events and characters, milestones of art, still-life, animals and the natural world in general, with exaggerated and disproportionate volumetry, accompanied by fine details of scathing criticism, irony, humor, and ingenuity. His paintings and sculptures are united by their proportionally exaggerated or "fat" figures, as he once referred to them. Botero is an abstract artist in the most fundamental sense, choosing colors, shapes, and proportions based on intuitive aesthetic thinking. Though he spends only one month a year in Colombia, he considers himself the "most Colombian artist living" due to his insulation from the international trends of the art world. In the last three decades, he has achieved international recognition for his paintings, drawings and sculpture, with exhibitions across the world. His art is now widely known as a key part of the makings of modern contemporary art history. The exhibition Robert Indiana: Beyond Love at the Whitney Museum of American Art in New York presents an overview of the work of the American artist, who his one of the main protagonists of the Pop Art movement. Robert Indiana used the vocabulary of highway signs and roadside entertainments of post war America. His work often consists of bold images with short words, such as in his most famous piece, LOVE. Robert Indiana: Beyond Love. Whitney Museum of American Art, New York. Professional Preview, September 23, 2013. Video: Shimon Azulay. 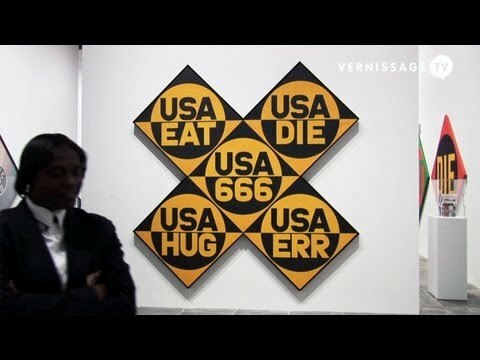 More videos on contemporary art, design, architecture: http://www.vernissage.tv 5.